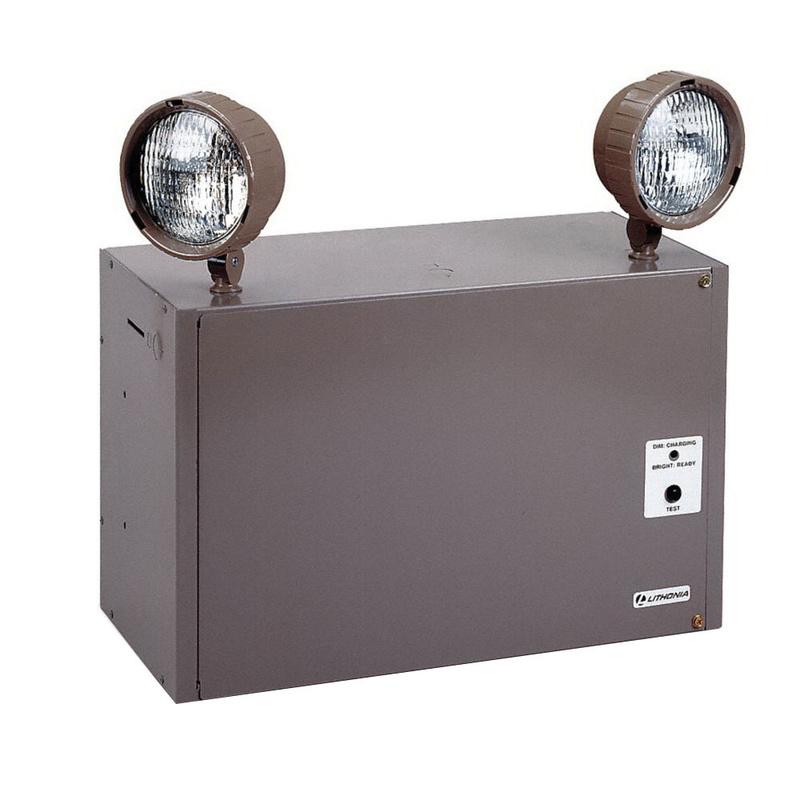 Lithonia Lighting Titan® 2-Head industrial emergency light unit in instrument tan finish, has 18-Gauge steel construction for added strength and durability. This light unit features a two 12-Watt PAR36 sealed-beam incandescent lamps with an output of 12-Volts DC. The light unit provides thermal protection to sense circuitry temperature and adjust charge current for preventing over heating and charger failure. It has 12-Volt sealed lead-calcium battery with 90 min run time and has light input power of 50-Watts at 120/277-Volts. The light unit measuring 18-Inch x 9-Inch x 16-3/4-Inch, has an output power rating of 275-Watts at 1-1/2 Hours, 206-Watts at 2 Hours, 137-Watts at 3 Hours, 103-Watts at 4 Hours. It has a current rating of 0.287-Amp at 120-Volts, 0.125-Amp at 277-Volts and voltage rating from 120/277-Volts AC. It is suitable for general/light industrial environments. The emergency light unit meets UL 924, NFPA 101, NEC and OSHA illumination standards.